The automotive industry in India is one of the important markets in the world for Automobile Manufacturers. Indian car market is filled with almost all type and brands of cars such as SUV, CUV, and Sedan, less popular but capturing the market. 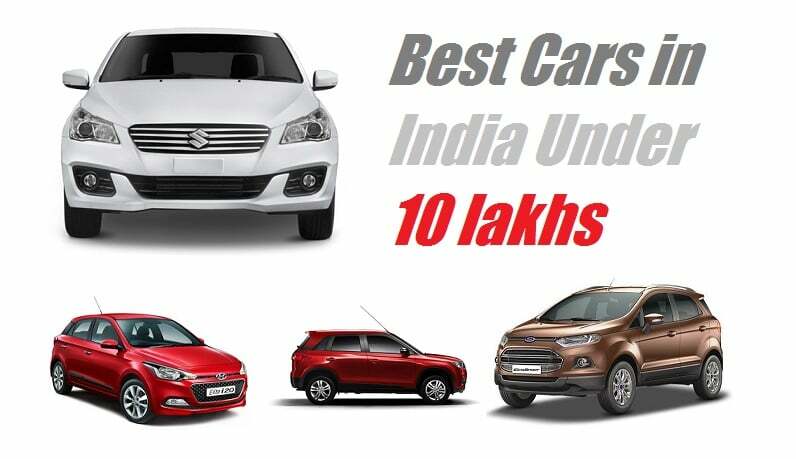 Some of the best entry level sedans in India for the year 2013 are listed as Maruti Suzuki Swift DZire, Chevrolet Sail, Mahindra Verito, Toyota Etios and new Honda Amaze, one of the new Luxury Sedans of India. (Price May Change as per selected model and location). Today I will show you luxury cars in India between 8-10 lakhs. Luxury Cars in India below 10 lakhs. The Honda City i-VTEC S is the base petrol variant in the City range and priced at Rs 8.72 lakh (ex-showroom, Delhi). It comes with exterior features like front Chrome grill, molding line, dual-barrel headlamps with integrated LED DRLs, wraparound tail lamps, rear Chrome garnish, 15-inch Steel wheels, body colored outside door handles and rear view Mirrors, and the front pole antenna. Inside the cabin, the i-VTEC S variant offers premium beige interiors, fabric seat upholstery, black finished door handles, black centre console and steering wheel, three-ring instrument panel with white illumination, eco-lamp, multi-information LCD display, fuel gauge with reminder warning. one trip metre headlight and key reminder, manual air conditioner with heater, dust and Pollen filter, central door locking, electrically adjustable outside rear view mirror, power steering with tilt adjustment, front and rear power windows with driver side one-touch up/down, accessory socket, one-touch Lane change indicator, grab handles, front map lamp, centre roof lamp, and trunk light. In terms of audio and infotainment, this base S variant has received integrated 8.9 cm LCD audio infotainment system with FM tuner, auxiliary input, MP3 player, iPod, USB, and Bluetooth connectivity for hands-free telephony and audio streaming support. Click here for more information. When Maruti Suzuki first rolled out the SX4 sedan in India, it marked the company’s entry back into the premium midsize sedan segment post the departure of the Baleno. At the time the market was still rather petrol oriented and standing as the testament to customer wants and needs was the Honda City, the undoubted king of the premium midsize sedan segment. The SX4 raked in the numbers however it couldn’t pipe the Honda. Having said that, the car has garnered a strong fan following over the years and still remains a strong contender in that market segment. Obviously, this wasn’t enough. Maruti Suzuki was more than adamant to take on the mighty king of the hill and rumors of a diesel variant started doing the rounds. The idea of putting in a diesel engine under the hood clearly made tremendous sense, for this would open a whole new avenue for MSIL to sell the SX4. Further to this, the market was changing and diesel-powered cars such as the Volkswagen Vento, Hyundai Verna, Fiat Linea and Ford Fiesta were steadily making inroads. Hyundai’s big ticket into the competitive C-segment, the new Verna has been a runaway success. The sedan is loaded with a lot of segment first features, including ventilated seats, hands-free boot release as well as projector fog lamps. It also features a set of refined engines and smooth transmissions. You can pick between a 1.4-litre petrol (100PS/132Nm), a 1.6-litre petrol (123PS/151Nm) and a 1.6-litre diesel (128PS/260Nm). The bigger engines also offer an optional 6-speed automatic transmission. 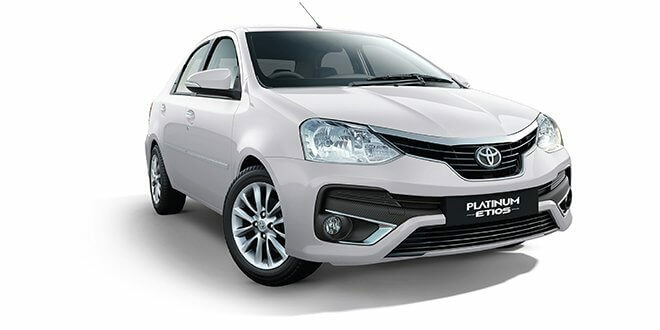 July 1, 2017: With GST kicking in, prices of the Toyota Platinum Etios have been revised. Based on pre-GST taxes, the ex-showroom price has been slashed. Mumbai: The price of the sedan now starts at Rs 6.5 lakh, as opposed to Rs 7.25 lakh pre-GST. That’s a difference of Rs 75,000. Delhi: The price of the sedan now starts at Rs 6.54 lakh, as opposed to Rs 6.94 lakh pre-GST. That’s a difference of Rs 40,000. Do note that prices for insurance are marginally higher, as they are taxed at 18 percent instead of the earlier 15 percent. The Renault Scala is a three-box sedan best suited for families. It offers loads of cabin space, decent equipment list, and a large boot, and even though the Renault Scala and Nissan Sunny appear as twins with similar features, the former commands a slightly higher premium. Overall, the Renault Scala is a decent sedan that offers everything one would expect from an entry-level in this segment. Nice flowing corners with the tacho mostly hovering around the red line, I’m shifting the slick gearbox like nobody’s business. I love to drive and I simply cannot fathom how driving can be fun without having to abuse that gear lever. End of the highway meant, the fun time was over and the bustling city reigning you in. Hey, Guys Vikash Gaur here. If You Follow this website you can learn & about Technology Fact, Trend News, Tips & Tricks, etc. Now Follow this website. Keep Your Suppor and we will continue to bring you new information.